Why Hostelworld is awesome – HostelWorldTreats as a unique wedding gift! When HostelWorld noticed our project on Twitter, we thought it was nice when they contacted us to send us the highly coveted Hostelworld Treats (we love thoughtful companies!). But low and behold – we received our delightful package in a much more thoughtful way than we were expecting – it came in the way of a wedding gift! Given something old, something new, something borrowed, and something blue – we were very thrilled to receive these treats AND to have a seamless way to book some hostels through our Wed the World journey in less than 3 weeks. 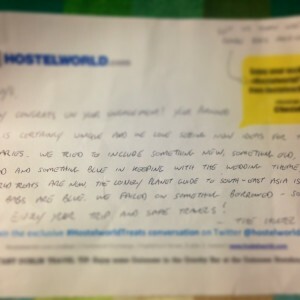 Thank you Hostelworld! 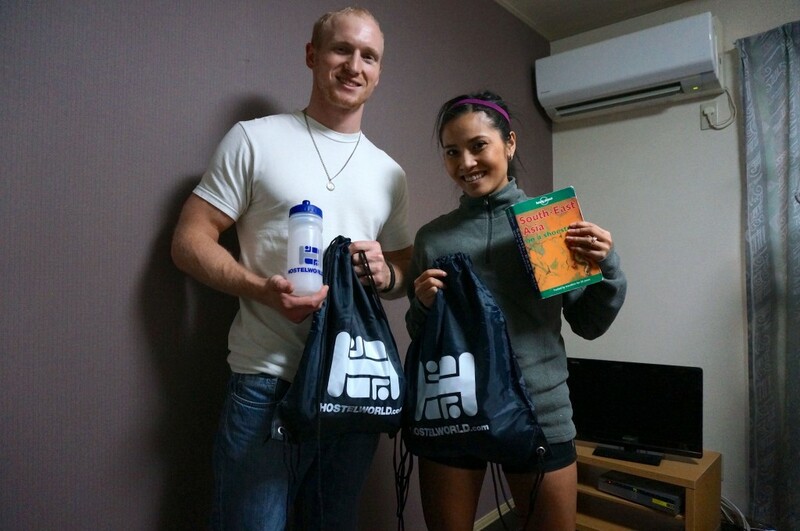 Thank you to Hostelworld for their kind, thoughtful way of sending us #HostelWorldTreats and we will be repping your gifts through SE Asia in just under 3 weeks! 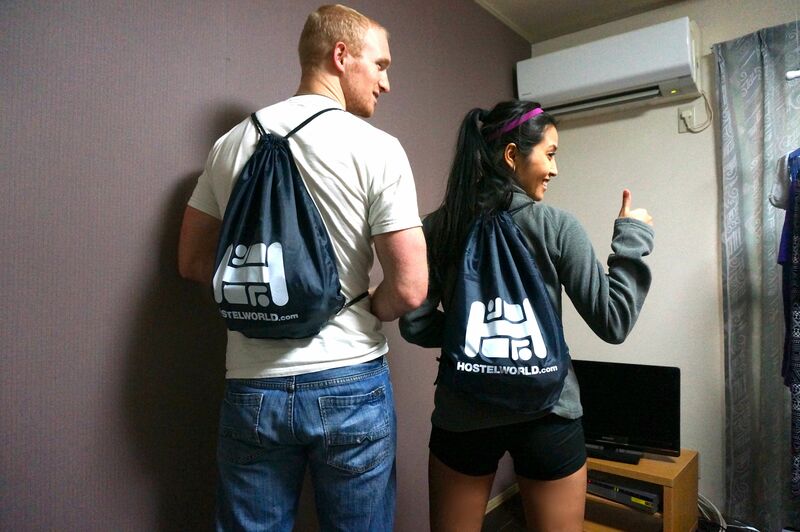 Don’t forget to LIKE us on Facebook, FOLLOW us on Twitter as well as Hostelworld!